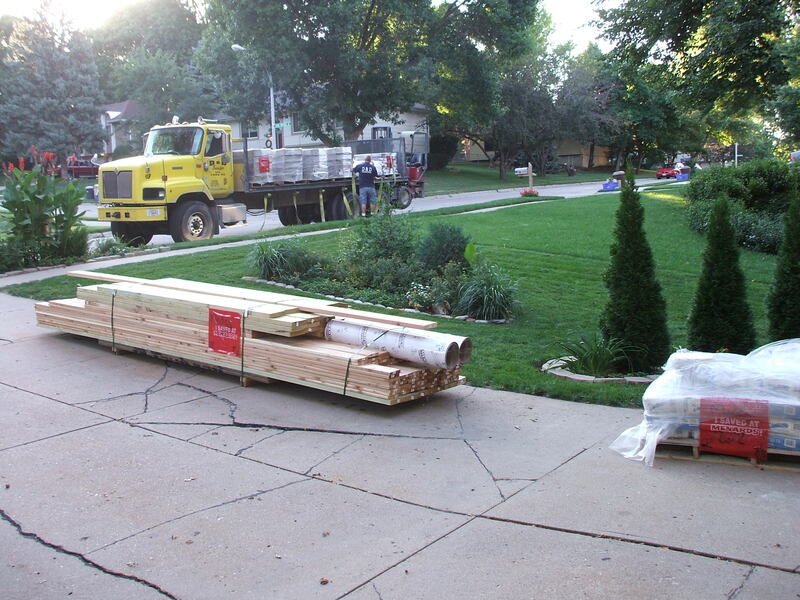 Last week we had a delivery scheduled from a large hardware chain in the area and the driver came in a larger truck that you can see here in the picture. After he unloaded our supplies, I engaged him in some conversation about his job, but did not bring up anything remotely spiritual and out of the blue he confided in me that the previous day he had stepped into some kind of hole while getting out of his truck and twisted his foot and that he was still in a lot of pain. 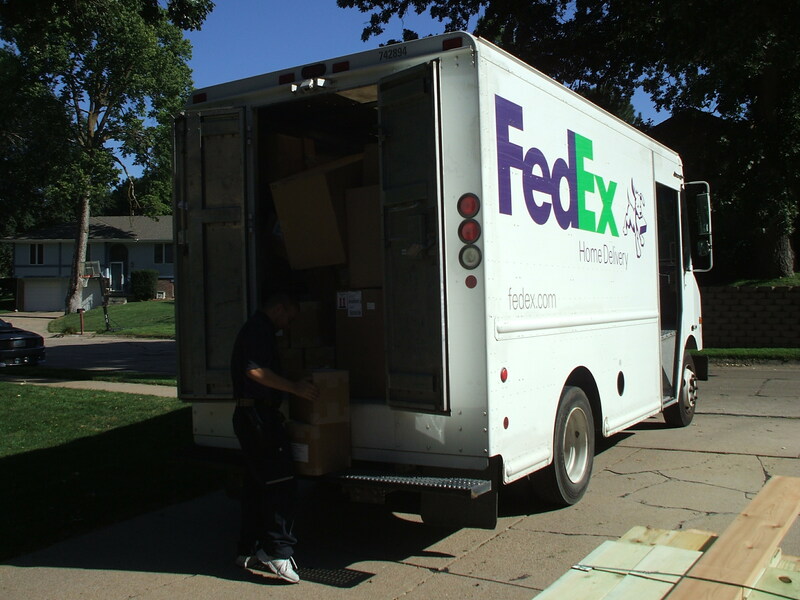 Later that morning my newest book arrived by Federal Express and I have posted some truck pictures for you to see. Here is a short note from a friend who picked up a copy of my book on Saturday and already began to read it. “I am excited to start reading today the newly published book, “Willing to Yield, Discover how Yielding Accesses the Supernatural Wisdom, Favor and Power of God.” by pastor Jay West. It’s already blessing me. A highlight for me stated by Jay, that the enemy loves to use regret and anxiety to get us off track. But if we give them to Jesus and cast those cares upon Him, He handles them and takes them away because He does care for us. One time, while praying for a lady massage therapist at a local church, who was experiencing a lot of carpel tunnel hand pain, God gave Jay a vision of a lady playing Frisbee in a park, and Jesus was there watching the game. Jesus spoke to the lady and asked her to toss Him a Frisbee too, stating that the Frisbee would represent her cares, so she began to do that, one Frisbee after another. Jay asked this massage therapist to begin to do that in her mind and to envision Jesus catching all of her Frisbees and cares, but Jesus did not return any of them. He took in all of her cares and burdens. This is great vision for what He does for us if we let him–and if we truly yield to Him. 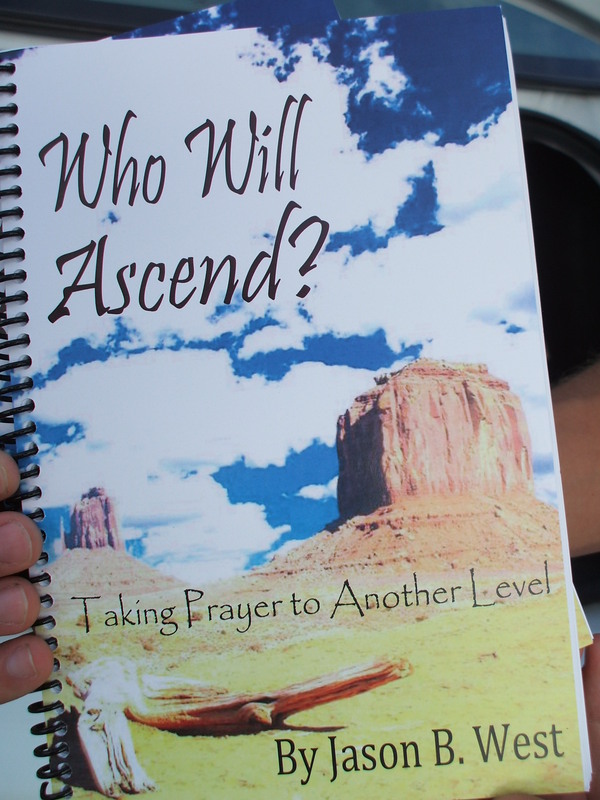 I want to share that our son Jason has also published a book this summer called “Who Will Ascend?” Taking Prayer to Another Level. 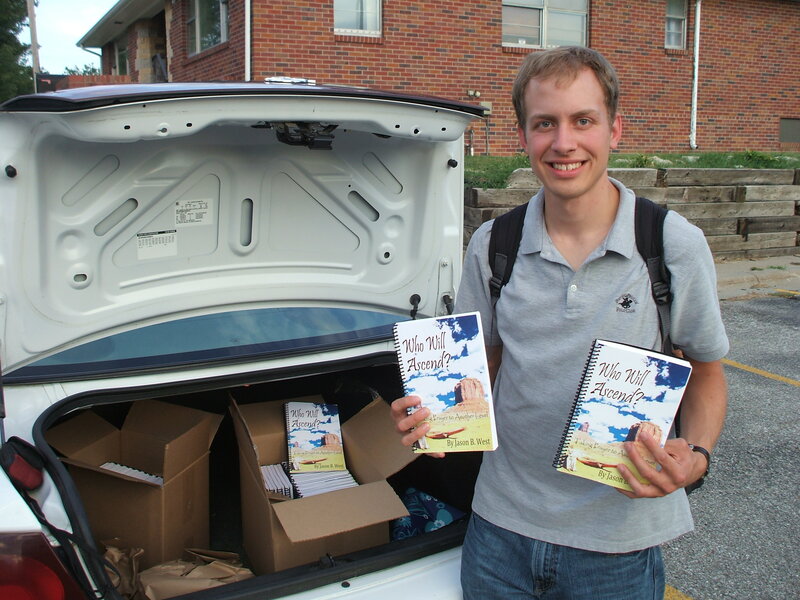 His book along with mine on Yielding and my first book called Downloads from Heaven are all available for a suggested donation of $10 each plus appropriate postage. If you are interested in receiving one or more copies, please leave me a note with your email address and I will contact you on how to proceed. We are thrilled to offer these new products along with some additional fresh CD’s and DVD’s such as “This is a Great Day to Get Well” – available on both CD and DVD and then another DVD presentation titled, “God’s Natural is Supernatural” We see the Lord using these resources to bless and encourage. By the way, my definition of copyright regarding any media product is that I give you the right to copy anything. I frequently share with groups that if they want to buy some CD’s, that several people should buy separate CD’s and then copy and share them. This is true here and if you are interested, I can provide a larger list of available products in addition to the ones highlighted here. And if you honestly can’t afford something, but have a genuine need, please let me know and we can work something out. Our goal remains intact and that is to bless and encourage. We love Jesus and know you do too, and so we want the very best for you, and if we can help you with that, we would be delighted to try. God has blessed us so much, and we want to see you blessed too. Jason’s book has some reflection time at the end of each chapter called “Practically Speaking and my book has something similar called, “The Journey.” Our goal is to extend inclines of discipleship towards you to enhance your relationship with Jesus, thus positioning you for the next Kingdom level that the Lord wants to take you to. 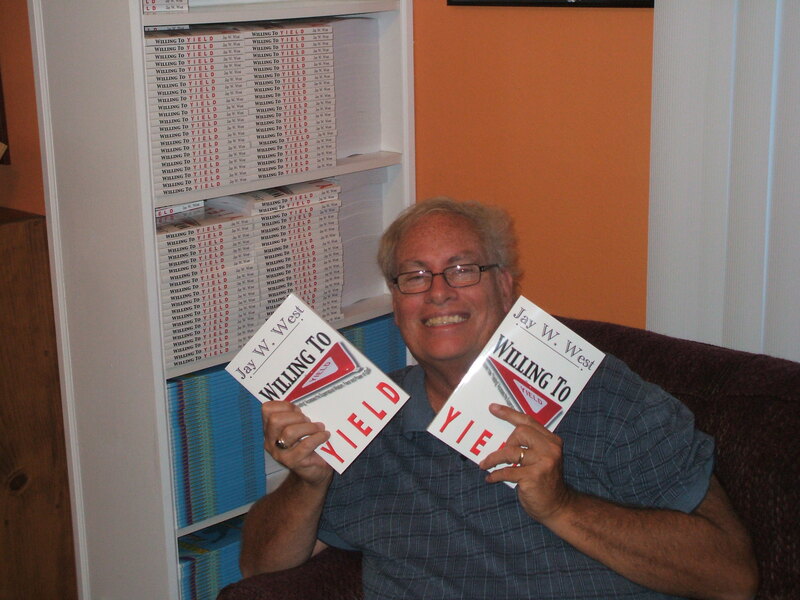 Jason and my wife both wrote the foreword to Willing to Yield, and there are some surprise chapters written by others as well, including a retired classical music couple who discovered the power of God almost by accident and then a young lady who was thrown into all sorts of perversion but God still redeemed her life too. So here are a few of the chapter titles that you will encounter. Discovering the Power. Strange Prayers, Strange Answers. Being Uncommon. Tolerated, Appreciated Celebrated. 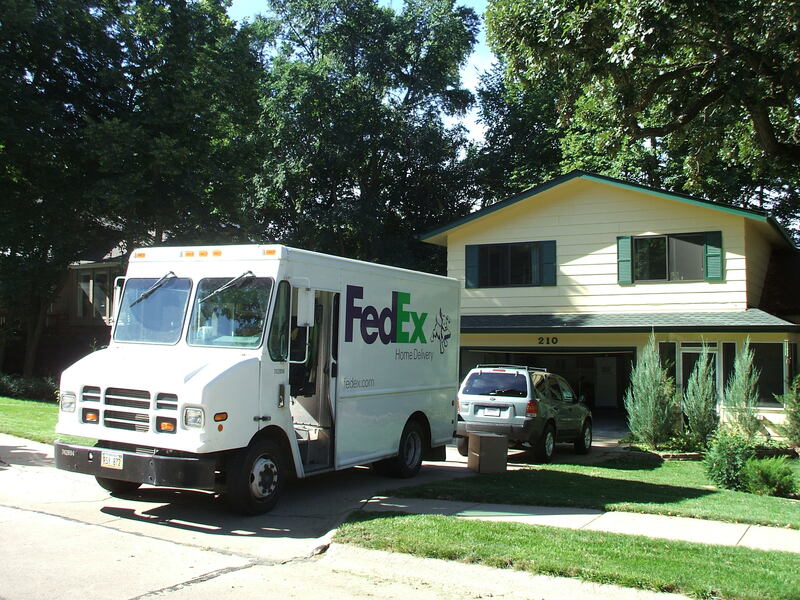 Outmaneuvering the Manure. Perversion to Pastor. Flag Men Ahead. Taking Courage. Getting Un-Tongue Tied. Completing the Challenge Course. This entry was posted in Everything Else, Healing Testimonies and Teaching, Kingdom Encounters, Kingdom Living and tagged Author, books, healing, healing prayer, Jesus, kingdom, Kingdom of God, Mennards, Nebraska, Omaha, Power by anointed2go. Bookmark the permalink. Cool….I was at a prayer meeting in Lincoln a few weeks ago that proceeded while a tech guy worked on the Internet connections. The leader asked him if he wanted prayer for anything while we were praying, and he started to cry and talked about a tough situation with his kids. We are surrounded by human beings in need of their God. I pray that we have the heart to act in concert with Him for their benefit in the situations that we encounter.